A section of the park is closed for slope works from 27 August 2018 to 30 April 2019. Park goers can continue to use the park facilities during this period. A unique rooftop and street-level park located in the heart of Mediapolis. Springleaf Nature park is an area high in biodiversity because of its proximity to the Reserve, and is home to more than 80 species of resident and migratory birds. Punggol Waterway serves to increase park and water frontage for housing developments and provides a green respite for residents. 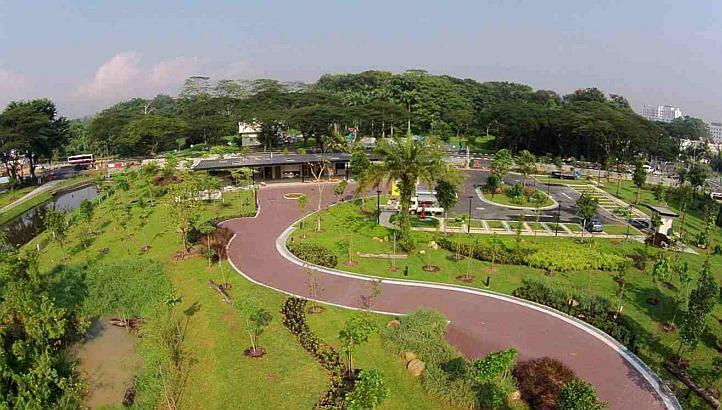 It also provides residents opportunities for leisure activities such as jogging and cycling along the promenade at both sides of the 4.2km waterway which links Punggol Reservoir to Serangoon Reservoir.